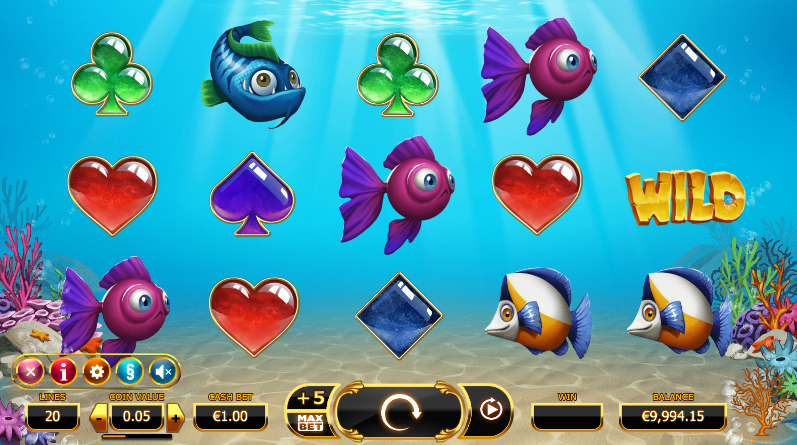 Heres a superb new Goldfish themed slots game, discover more services we offer here on Easy Slots. Everyone, at least once in their lifetime, has thought about what life would be like under the sea. They would have thought about how to make friends with the fishes, and not to mention, how they would be able to swim with their gills and webbed feet. 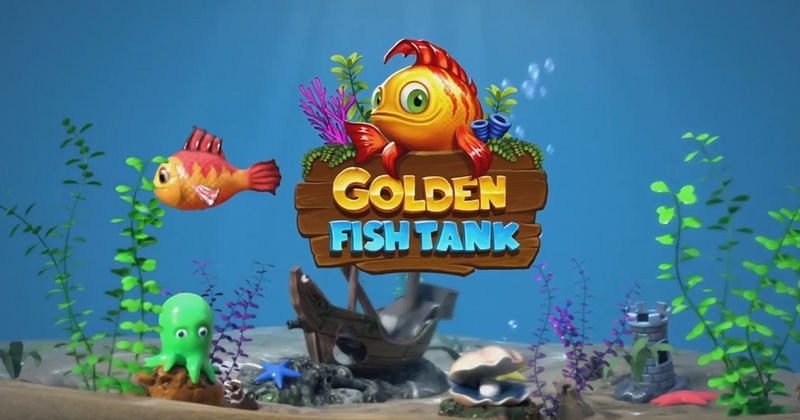 Well, you wouldn't have to think too hard about life underwater, when you grab your laptop, tablet, or smartphone, and turn one of Yggdrasil's most loved games, Golden Fish Tank. The online slot can easily be accessed by any device that you use daily, thanks to the developer's use of state-of-the-art technology. It's so easy, that you'd feel like you can get on your swimming trunks, and jumping into the sea without having travel to the coast. And with the many winning combinations that you can get on this slot game, how could you refuse diving into the ocean and experiencing how many prizes you can get on Golden Fish Tank? join & play now. After the former CEO of NetEnt has left his position from the previous gaming company a couple of years back. He has come back with a bang and a new Scandinavian name for the new developers sparking a flame in the casino industry, Yggdrasil. Taking the inspiration from the mythology of the 'Huge Ash Tree', these developers know how to leave their clients and consumers in awe with the amount of work that they put into their intense graphics and smooth gameplay. And looking back on some of their previous games that have gained a lot of good recognition, such as Incinerator, Winterberries, and Empire Fortune, which you can find here, you won't be able to resist knowing how good Golden Fish Tank is! To see our full list of games, visit Easyslots.com today! Rather than setting the reels up on a fixed grid, the game board shows you how watery this game can get by having all of the symbols floating in their position on the screen with a sea life setting in the background. Golden Fish Tank will feature around 8 base symbols that will pay left to right across the paylines. Aside from the traditional base symbols of hearts, spades, clubs, and diamonds, you also get the chance to witness a couple of adorable aquatic creatures of the ocean, in which some are represented as WILDS and SCATTERS. As we are still waiting for the game to be released, I cannot depict which creature represents which icon. The golden fish that you'll see swimming across your reels represent a SCATTER that would trigger a bonus round. 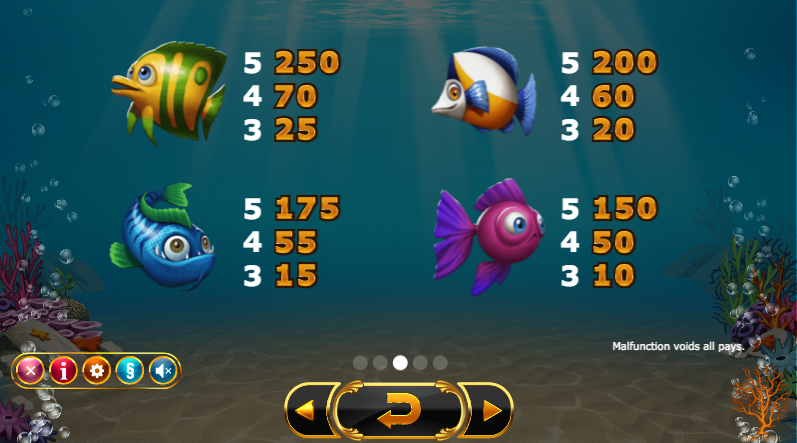 • Golden Fish SCATTER: If you get either 3, 4, or 5 of these symbols on the reels, you'll be rewarded with either 6 free spins and 3 feature picks, 8 free spins and 4 feature picks, or 10 free spins and 5 feature picks. • Bonus Round: Once triggered by the Golden Fish SCATTER, the base background set to will transform into a tank floor, where you will pal a gamble round in which you have to choose between a certain number of marine-related objects that will give you a big instant prize. There's still a lot of mystery in regards to what the gameplay is actually like. But as they say, there's a lot of mystery in the big, blue, ocean. Furthermore, Yggdrasil leaves us with a lot of mystery during this moment in time, which will only make us more anticipated to turn on our devices and wait for Golden Fish Tank to load! Sign up today at easyslots.com and claim your free spins.